When building serverless applications, it is quite common to have code that is shared across Lambda functions. It can be your custom code, that is used by more than one function, or a standard library, that you add to simplify the implementation of your business logic. Previously, you would have to package and deploy this shared code together with all the functions using it. Now, you can put common components in a ZIP file and upload it as a Lambda Layer. Your function code doesn’t need to be changed and can reference the libraries in the layer as it would normally do. Layers can be versioned to manage updates, each version is immutable. When a version is deleted or permissions to use it are revoked, functions that used it previously will continue to work, but you won’t be able to create new ones. In the configuration of a function, you can reference up to five layers, one of which can optionally be a runtime. When the function is invoked, layers are installed in /opt in the order you provided. Order is important because layers are all extracted under the same path, so each layer can potentially overwrite the previous one. This approach can be used to customize the environment. For example, the first layer can be a runtime and the second layer adds specific versions of the libraries you need. The overall, uncompressed size of function and layers is subject to the usual unzipped deployment package size limit. 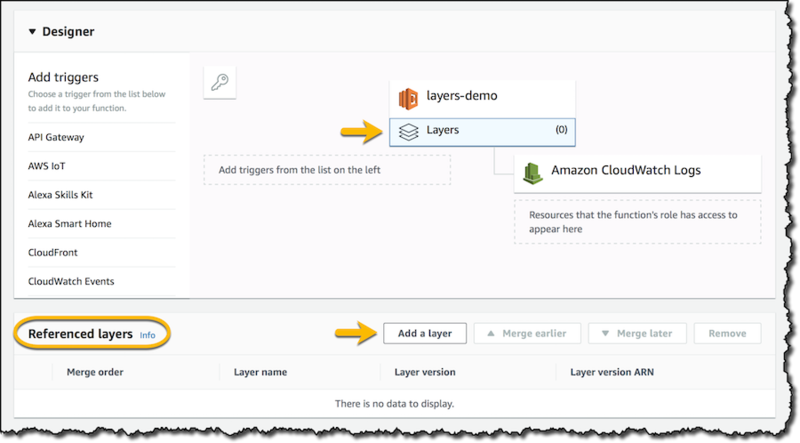 Layers can be used within an AWS account, shared between accounts, or shared publicly with the broad developer community. 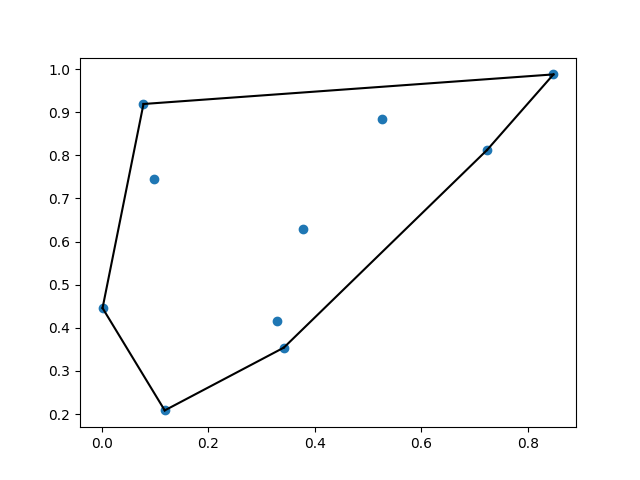 Based on our customer feedback, and to provide an example of how to use Lambda Layers, we are publishing a public layer which includes NumPy and SciPy, two popular scientific libraries for Python. This prebuilt and optimized layer can help you start very quickly with data processing and machine learning applications. In addition to that, you can find layers for application monitoring, security, and management from partners such as Datadog, Epsagon, IOpipe, NodeSource, Thundra, Protego, PureSec, Twistlock, Serverless, and Stackery. After I add the layer, I click Save to update the function configuration. In case you’re using more than one layer, you can adjust here the order in which they are merged with the function code. I run the function, and looking at the logs, I can see some interesting results. When I was building this example, there was no need to install or package dependencies. I could quickly iterate on the code of the function. Deployments were very fast because I didn’t have to include large libraries or modules. With this selection, the function must include (in its code or in a layer) an executable file called bootstrap, responsible for the communication between your code (that can use any programming language) and the Lambda environment. The runtime bootstrap uses a simple HTTP based interface to get the event payload for a new invocation and return back the response from the function. Information on the interface endpoint and the function handler are shared as environment variables. For the execution of your code, you can use anything that can run in the Lambda execution environment. For example, you can bring an interpreter for the programming language of your choice. You only need to know how the Runtime API works if you want to manage or publish your own runtimes. As a developer, you can quickly use runtimes that are shared with you as layers. You can use runtimes and layers in all regions where Lambda is available, via the console or the AWS Command Line Interface (CLI). You can also use the AWS Serverless Application Model (SAM) and the SAM CLI to test, deploy and manage serverless applications using these new features. You can find more details on using the SAM CLI with layers in the AWS SAM developer guide. There is no additional cost for using runtimes and layers. The storage of your layers takes part in the AWS Lambda Function storage per region limit. In the Lambda developer guide you can find more information on layers and custom runtimes. 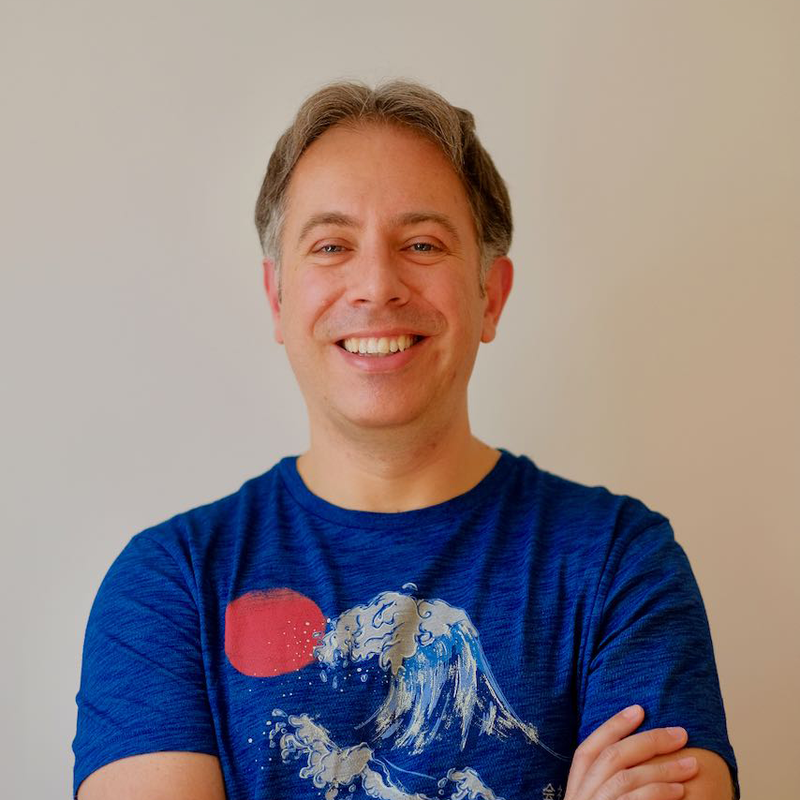 To learn more about using the Runtime API and Lambda Layers, don’t miss our webinar on December 11, hosted by Principal Developer Advocate Chris Munns. I am so excited by these new features, please let me know what are you going to build next!